59445 RA6524.jpg 500X638\RA6524.jpg 59446 RA6524_1.jpg 500X638\RA6524_1.jpg Send A Hint! 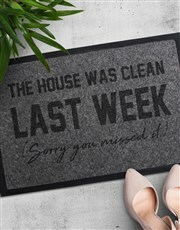 Product Description: less text Sure, the house was clean last week! 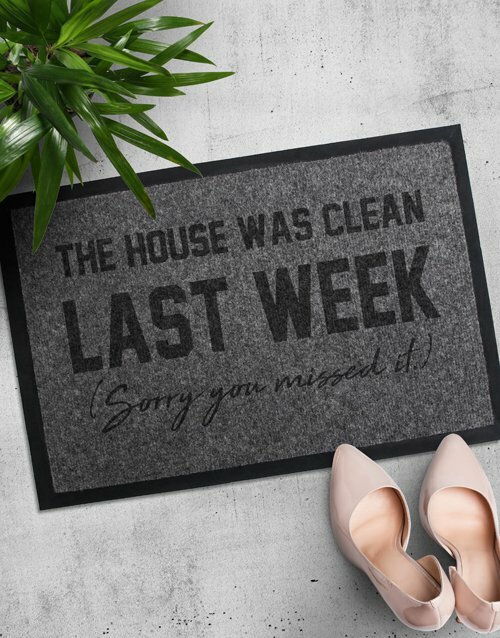 Spoil that not-so-neat freak with this coir doormat which is laser engraved with a quirky 'The house was clean last week' design. It will certainly add character to any home! Size : 330 X 550 mm Get this House Was Clean Doormat delivered with NetFlorist.